I have a confession… I love makeup. Especially foundation and mascara. The two makeup products I can’t do without. Now, I am adding primer to the short list of makeup must haves. So I am thrilled to have found a makeup that gives me good coverage and doesn’t sink into my pores. Since I’ve never used a primer before, I think the primer may be making the real difference. What is this great makeup, you ask? 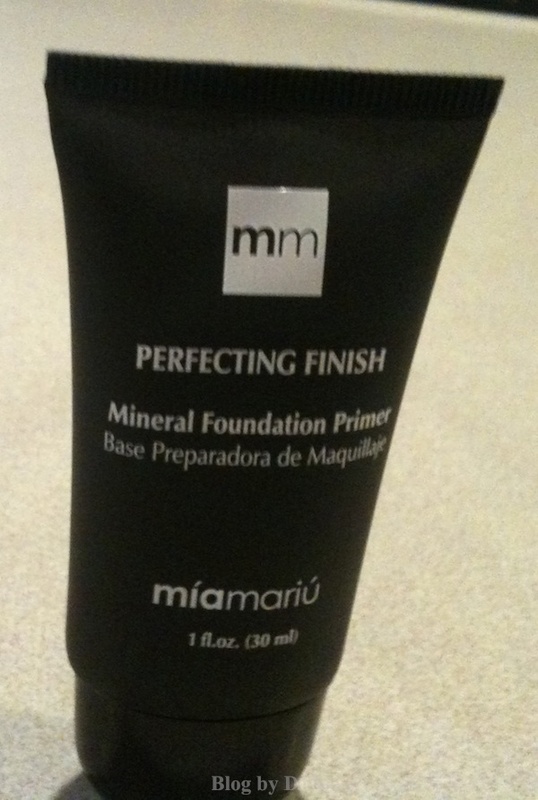 Well I’ll tell you… Perfecting Finish Mineral Foundation Primer and Perfecting Finish Mineral Foundation from Mia Mariu. I think of the primer just as I would primer you use on walls before painting them. It lays the foundation for a perfect makeup coverage. It provides a smooth canvas that allows the mineral foundation makeup to glide on seamlessly… for a flawless coverage. I think it’s well worth the $20. I love this foundation. But I need to say, it took me a couple of tries to figure out how to use it. What I mean by this is, it seems thick and not easy to spread on your face. It came with a sponge, but personally, I don’t recommend it. I think using your fingers and just working it in is best. After getting use to the feel and consistency, I have no trouble with it. I get the most flawless coverage than I’ve ever gotten with any other makeup, ever. It’s oil-free, but does not look or feel dry. Even at the end of the day, it hasn’t melted off, even in the humid temps we’ve had here. It stays put all day. The mineral foundation sells for $25. My only complaint is that I ordered it in Vanilla, and I should have gone a shade darker. But that was my fault. Luckily, I have a mineral powder in a darker shade, so I can darken it up to match my skin tone. I’m definitely ordering another bottle and trying Trigo next. Disclosure: I received a product(s) to facilitate my review. No other compensation was received. Opinions are 100% my own and your opinions may differ from mine. Thank you for this opportunity goes to Blogger Media Team. I am glad for this review. Thanks for letting us know your experience with this makeup, I have been wanting to try this Make-Up.